MX40 Camera Rollout Has Begun! An update on the camera rollout, as promised! Things are progressing well and we are hoping to have things up and running in the next week or so. We are very keen to make sure that the rollout happened before we all go away for the Christmas break. The additional 22 sets of eyes (plus 4 Number Plate Recognition Cameras) will increase the security in our area significantly! We have noted that here have been some teething issues with connection to residents’ houses and the formal process around this. The MX40 Committee would like to thank those residents who have assisted. We are working with the providers to try and resolve these issues as quickly as possible. Please bear with us and thanks for your patience. Remember that the camera solution is being run by Vumacam. 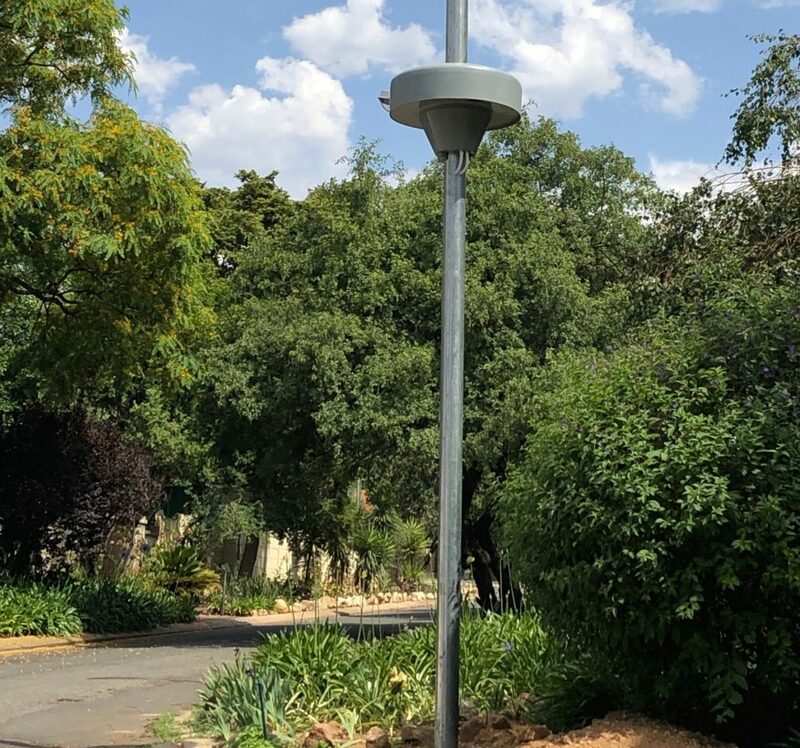 Residents may have seen what looks like a ‘space craft’ perched upon 9 poles across different areas, which will house the cameras in question. The cameras also use technology that helps to identify suspicious behaviour, and this is furthermore monitored offsite by an independent offsite monitoring company, which is completely independent from Beagle Watch. We felt this independence was critical to ensure that the integrity of the information is kept intact. Furthermore, it also allows us to have better oversight of the guarding activities to ensure that the guards’ SLA’s are being met. All cameras have backup power to allow for the real world of living under Eskom! During the Christmas period, we will once again have an extra vehicle dedicated to the MX40 area from 14 December to 13 January (ie two dedicated vehicles for this period). We are hopeful that we can have a repeat of the no-incident Festive Season again this year. If you have any questions please feel free to contact chair@mx40.co.za. Previous Best attendance at Beagle Watch Domestic Forum!